Leaving from Kings Cross' Platform 9 & 3/4 to Hogsmeade Station at exactly 9 AM, this train carries students (and sometimes faculty) to and from Hogwarts' School of Witchcraft & Wizardry in the Harry Potter series of books and movies. NOTE: Students leaving school (for reasons including Christmas vacation or expulsion) are subject to leaving on the Hogwarts express. The Express is made up of four corridor coaches though sometimes a special fifth coach is attached with an open floor plan. The train is supplied with all kinds of goodies and sweets, from Bertie Botts Every Flavor Beans to Chocolate Frogs. The locomotive is a 4-6-0 (that means 4 leading, 6 driving, 0 trailing) Hall class steam engine built by the Great Western Railway and later used by Hogwarts Railways. It is named Hogwarts Castle and numbered 5972, which is something of an irony as the Hall class is closely related to the Castle class of steam engines, so "It's the Hall that thinks it's a Castle". 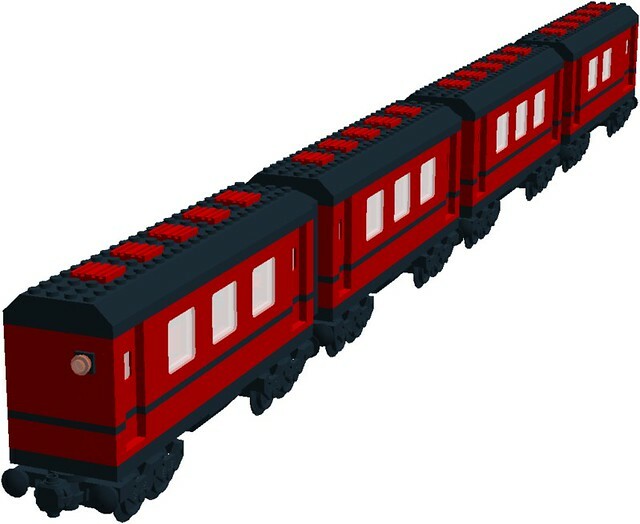 Four BR Mark 1 coaches painted in Hogwarts Railways colors. The coaches include two corridor coaches, one corridor guard's coach, and a baggage coach. The end car is not accurate the the films, but it is what I prefer compared to the alternative: a gangway leading nowhere with no red light on the end. 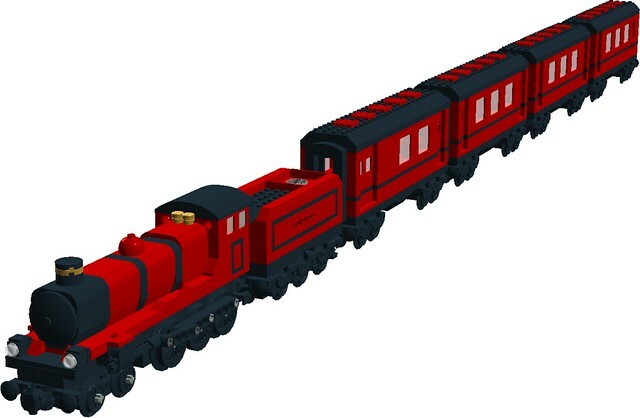 This locomotive is a heavily modified version of LDDModelmaker's Black 5 model with some parts from set 79111, Constitution Train Chase. The numbers 5 9 7 2 go on the sides of the tender... it's not prototypical, I know, but it works well enough. The tender features a three wheeled bogie design modified from the one in Anthony Sava's famed ALCO MRS-1. The middle axle moves side to side, as to allow going through switches and curves without issue. The sideways stripes are also a Sava inspired feature, and are derived from his American 4-6-0. This station is the terminus for the Hogwarts Express on it's school-ward journey. The platform is four tracks long, with the possibility of adding more sections due to the modular design. Their are two end-caps, two platforms and one station structure. Four benches are also included on the platform sections. 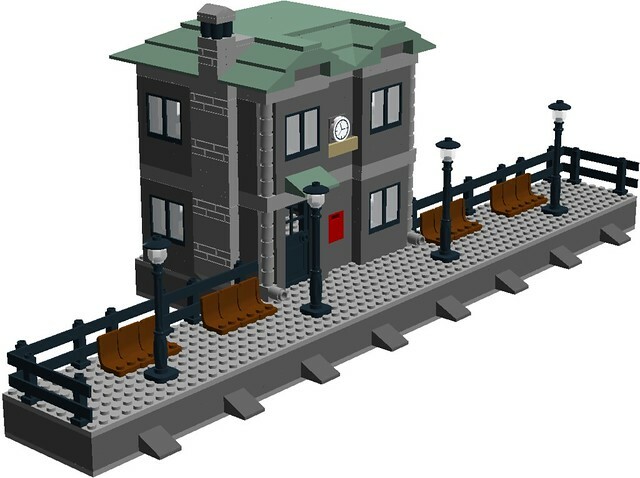 This part is supposed to be on the tan 1x4 sign out front ( http://www.bricklink...asp?P=2431pb022 ) but LDD doesn't have the print. 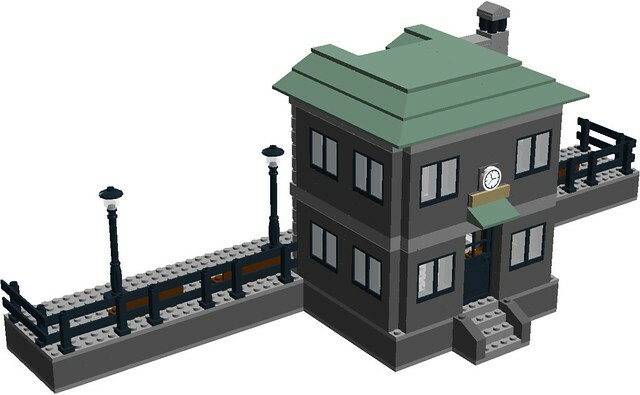 The inside features a ticket desk, and post box on the lower floor, while the upper floor features a station masters office space with a desk on the right side, and a switch / signal machine on the left. Two fireplaces (one per floor) keep the building nice and cozy during those cold winter days. Here is the street side. Thank you for reading. Comments, questions, and complaints are welcome here! Completely unofficial Hogwarts railways logo made by me and inspired by a Google search. Looks nice, though take a look at pictures of Hogsmeade station and the train. For the rest, great job! It looks great! Is it designed to work on the lego train system? Thanks! This is kinda like my take on the concept, based on official Lego sets and using techniques used in other sets.. A "what-if?" or a "could-of-been", if you will. Thank you! 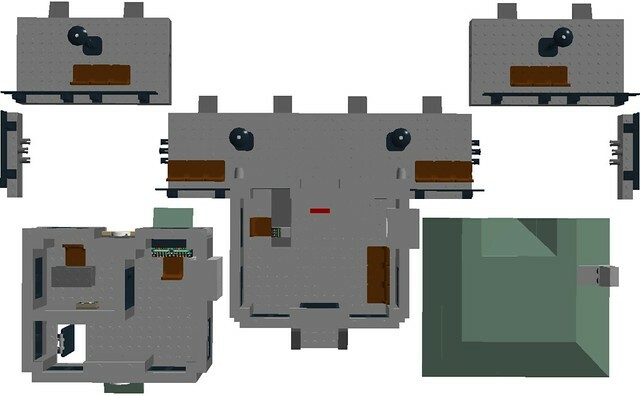 This model is 100% compatible with LEGO train system, though it is un-powered, like in the original Harry Potter sets. You would need a powered coach to push this engine along, if you really wanted to do so. Brilliant job! 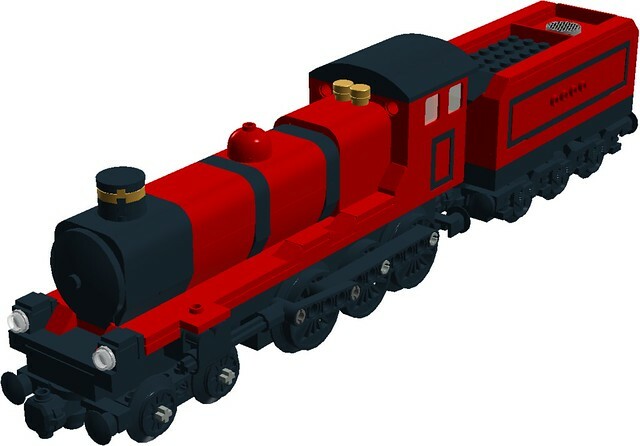 It's a shame LDD doesn't have printed bricks, otherwise you could use the on from the actual set. Amazing job nonetheless! Thank you, and yes, LDD seriously needs more Harry Potter-related stickers & prints! Thanks! 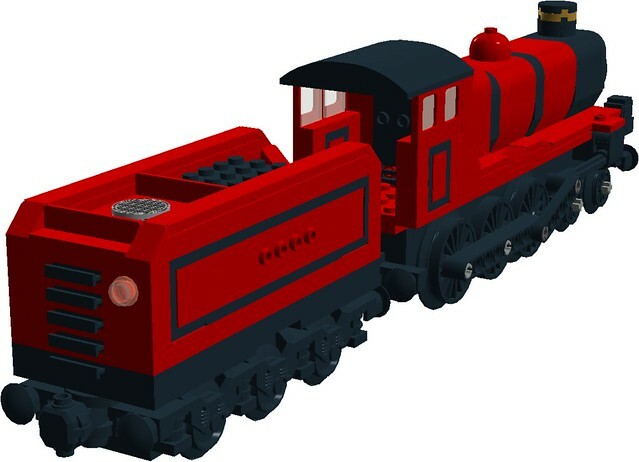 I too wanted the motorized Hogwarts Express, but it really wouldn't work if released today: besides the obvious Power Functions upgrade / parts changes, the 3 wheel tender would not work as it bends the rails with the middle wheel. Tons of great train builders have come up with way better 3 wheel designs than this, but why didn't LEGO? Please see the first post for the LDD file! Sorry for the double post, but I have updated models to post! I have updated and improved the first post to include new / updated LDD files, new pictures and new features.